Established 1885, we are the fifth-generation- family owned and run Farming Operation, and have been in the Vryburg district in North West since 1914, farming with Afrikaner cattle. 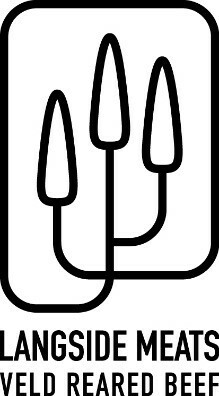 Proud of our history, we believe the Afrikaner, till today, is THE most unique breed that has the best to offer in terms of production on the veld, and have genetically the most tender meat which is scientifically proven. Being true to our Mission: “Off the Veld for the Veld”. we maintain our philosophy of – holistic farming as close to nature as possible. For years now we have sold our grass fed and free range meat directly to outlets, across SA. Our customers are extremely satisfied with tender, superior meat. Contact us for more information – click here to email. Where Cattle become Beef with Respect! Our aim is the highest standards of transparency, traceability and confidence. Langside Meats members Pieter and Koot Prinsloo are established cattle ranchers in the Queenstown district of the Eastern Cape. We formed a partnership with producers Dave Osborne, Hennie Wentzel, Tian Landman, Marius Corbett, Pierre Scheepers, Roger Mackay and Freddie du Plessis. All members are audited and registered by SAMIC as Grass Fed Beef Producers under the GFASA protocols. We conserve our natural environment as our most important non-negotiable priority and promote this at every available opportunity! Extensive grassy planes, interspersed with Acacia trees offers an ideal, natural habitat for cattle. This sweet veld is of an excellent quality to fatten the herds, with a high nutrient content from a large variety of grass types, excellent for beef production. 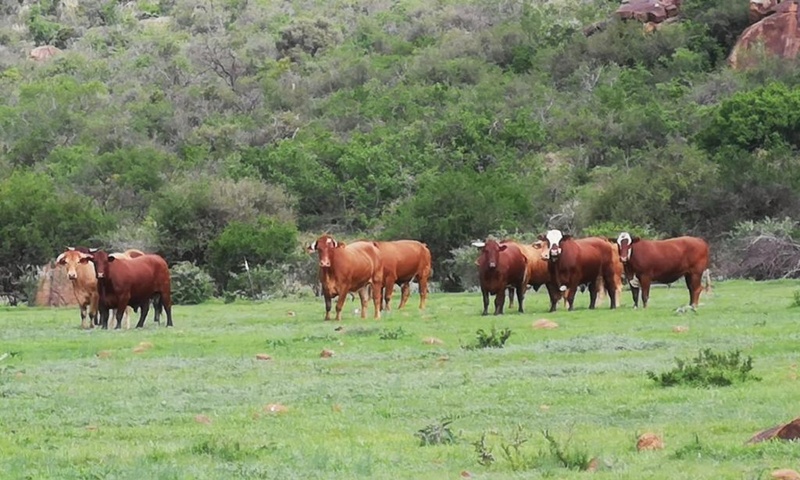 It enables Langside Meats to run their herds purely off the veld, without having to give them extra feed to keep up their condition, even in the dry years. Beef at its best –Proudly Farm to fork! Langside Meats Terroir – We consider ourselves as nature’s partners! Contact us for more information – click here to email. West Dunes Farms is a Cattle Farm situated 14 kilometers from a small rural town of Senekal on top of an escarpment, resulting in fantastic views of the surrounding mountains. Plus there is a beautiful section of the farm which is heavily covered with trees and bush, and an amazing gorge that runs for many kilometers. The farm was a safe haven for women and children during the Boer War in 1899/1902. The farm is a consolidation of 4 farms totaling 1740 hectors of sweet red grass, that cater for the abundant of wild life and game with, our concentration as production of Prime Grass-Fed Beef. Herman Nel is the proud owner of Riemland Nguni Stud. Herman is farming in the Heilbron district in the Free state. The farm consists predominantly of Freestate natural grasslands(Themeda triandra) supporting his Grass fed Nguni herd. Herman is passionate about indigenous cattle breeds and rural agricultural development. Tripple G farms is a family farming operation run by the Grant and Trent Odgers in the eastern Freestate near the town of Reitz. The rolling green hills and the beautiful lavish pastures is home of the registered Angus heard, and makes for superb Grassfed meat.